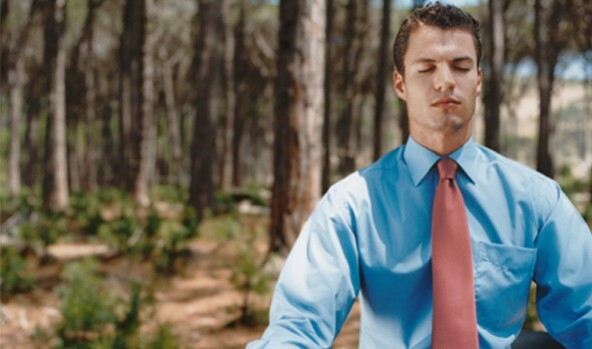 The practice of healing arts such as yoga, Qigong, tai chi, aikido and other modalities that utilize the internal mind-body connection are perfect additions to any corporate wellness program. Educating employees about healthy lifestyles as well as exploring the mind-body connection allows the individual to build a strong foundation upon which he or she can build a better future. Historically, most mind-body healing art practices have their origin in the Far East. Ancient internal martial arts practices preceded karate, tae kwon do and the other sparring arts. Internal martial arts focus on the mind's connection to the body and how strongly the thoughts of the mind influence physiology. Healing art practices perfectly align with features already in place in good corporate wellness plans. Flextime and available space create the opportunity to bring in consultants to teach employees the basics of the mind-body disciplines. Stress reduction, confidence building, and self-perception enhance the quality of life for the employee; thereby accomplishing the goal of all corporate wellness programs namely a healthy, happy worker who is a committed and enthusiastic employee. Understanding one's personal mind-body connection, in many situations, can be more helpful than being encouraged to lose weight, stop smoking or reduce stress levels. It is a given that most everyone wants to get better. The overweight person, the person who has undesirable habits and the person who carries a high-stress level need options that provide long-lasting results. But often times the tools available to help improve the person's situation don't really allow them to get to the root cause of their problems. When a person is introduced to a healing art that is mind-body focused, they get the opportunity to begin to understand themselves on a deeper level. In as short a time as one month, participants can begin to relate to their body and to their thoughts in a different fashion. All mind-body healing arts utilize controlled body movements while focusing on breathing. In addition, the student is exposed to philosophical concepts that increase self-awareness. This goes beyond a simple exercise program. The results are enhanced focus, improved cellular function, greater energy level and a more flexible, toned body. All this can be achieved in as little as twenty minutes during the Monday through Friday workweek. One of the most appealing venues for an instructor of mind-body healing arts practices is the corporate environment. Healing arts practitioners have a strong desire to help others, and are sensitive to the needs of their clientele. Nothing makes a practitioner happier than getting someone out of their cubicle and into a mindset that allows them to connect with their inner being. The practice of internal martial arts and other healing art paradigms is underutilized in corporate wellness programs. With some consciousness raising and a willingness to include something new, corporations will discover that the mind-body connection of their employees is fertile ground upon which to build a sound future for their company. In today's complex work environment it is vital for employers to use every tool available to enhance their goal of corporate wellness. The healing arts practices are a perfect fit.